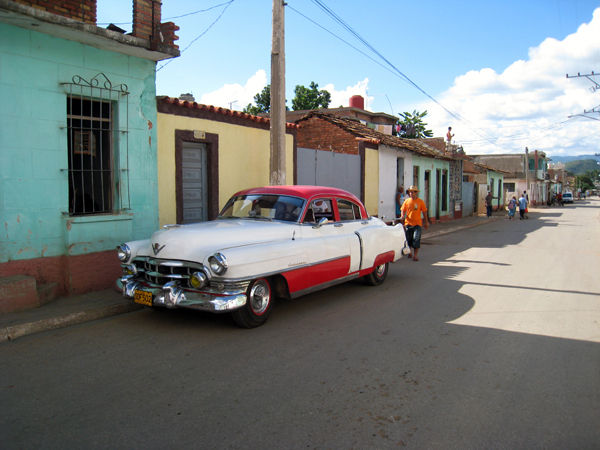 Trinidad de Cuba was founded in the 16th century but it really took off in the 18th century when it became a highly productive center of sugar production. 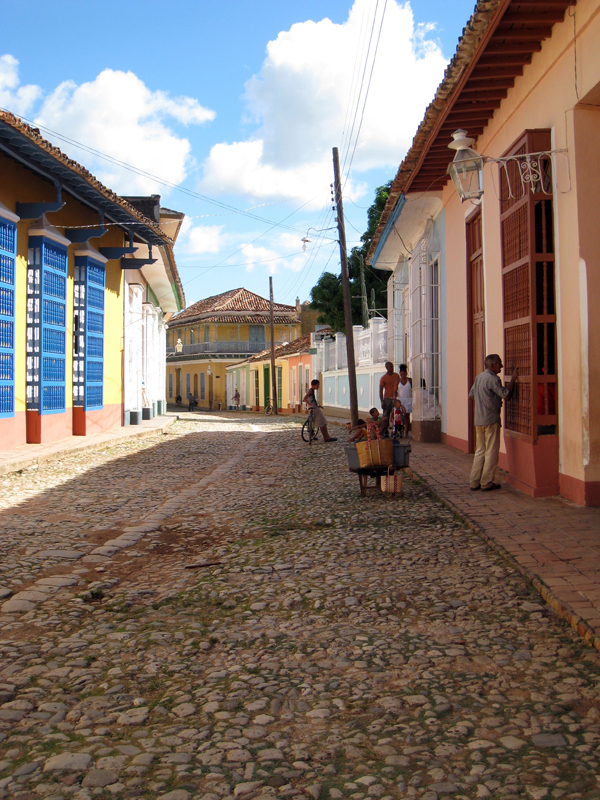 Neoclassical, Moorish and Baroque colonial buildings line the cobbled streets, ghosts of a gilded age. Some are perfectly restored, many more are faded and worn, but still beautiful. 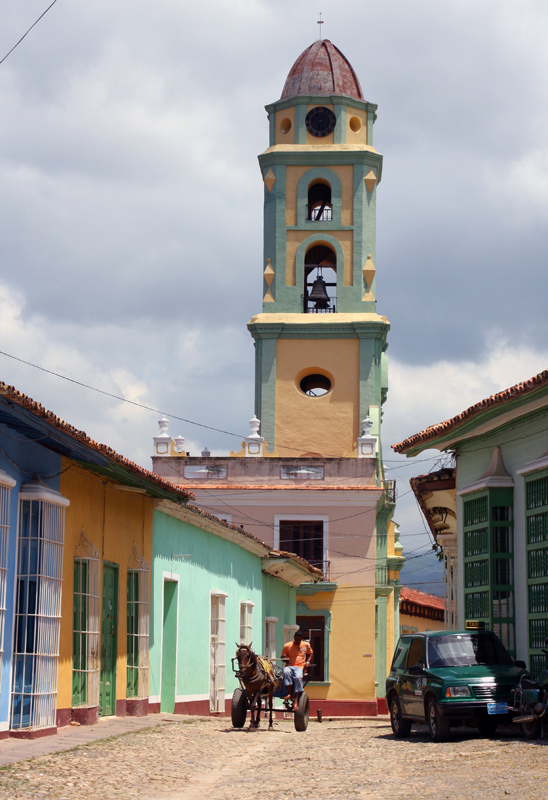 Trinidad claims to be the best preserved colonial city in Latin America. It could be true. Start at the main city square, Plaza Mayor, and walk aimlessly outward from there. 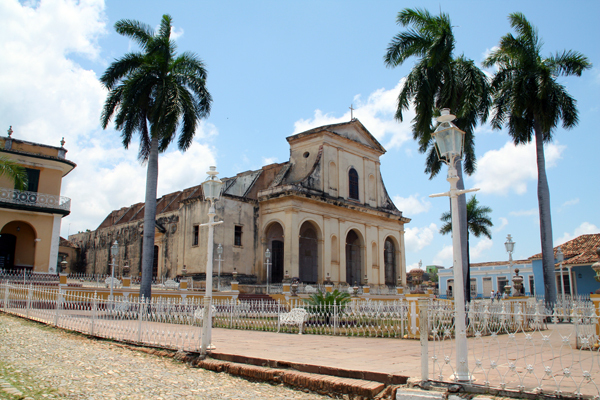 Iglesia Parroquial de la Santisima, Cuba’s largest church, borders the Plaza Mayor on the northwest side. 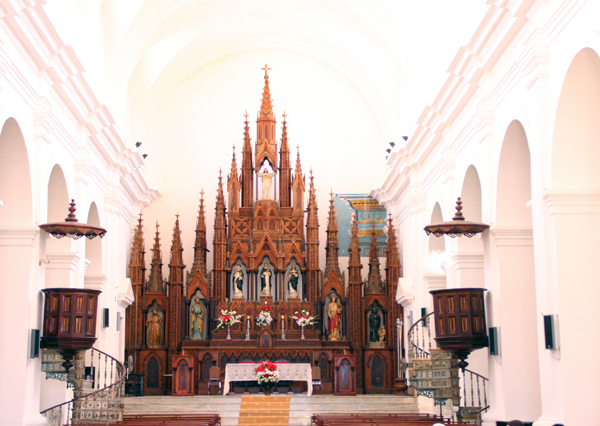 Inside is a beautiful vaulted Gothic ceiling and carved alters and a statue of Christ that locals believe came to them by divine intervention. Next door to the church is the grand Palacio Brunet, which houses the Museo Romantico, with exhibits of the furnishings and do dads of colonial sugar barons and really nice views of the Plaza Mayor. 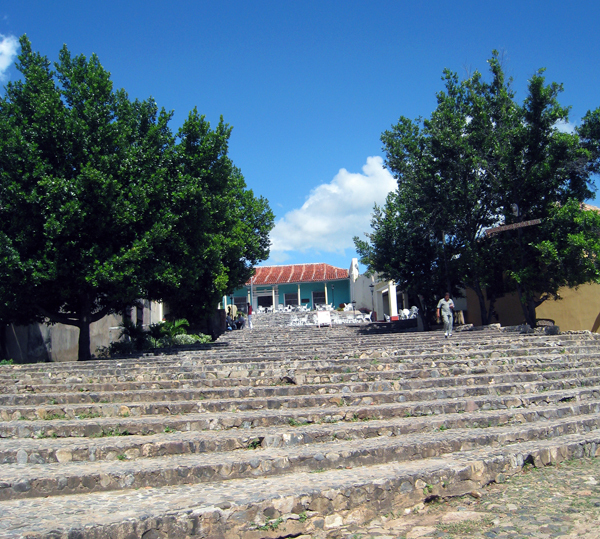 For even better views, climb the tower of the Convento de San Francisco de Assis. 2. 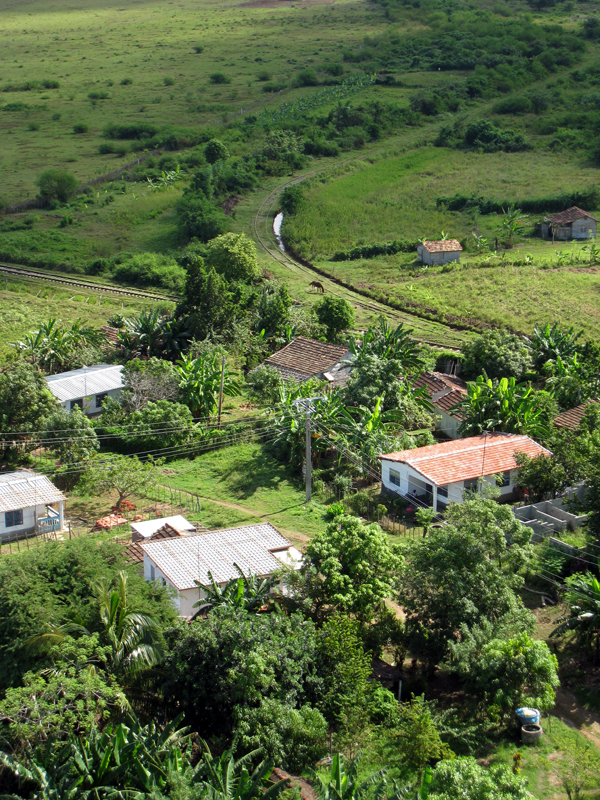 Just a few miles outside of Trinidad is the Valle de los Ingenios (Valley of the Sugar Mills), a series of three valleys where sugar cane was grown and processed on a massive scale in the 18th and 19th centuries. Tens of thousands of African slaves worked the plantations and mills. 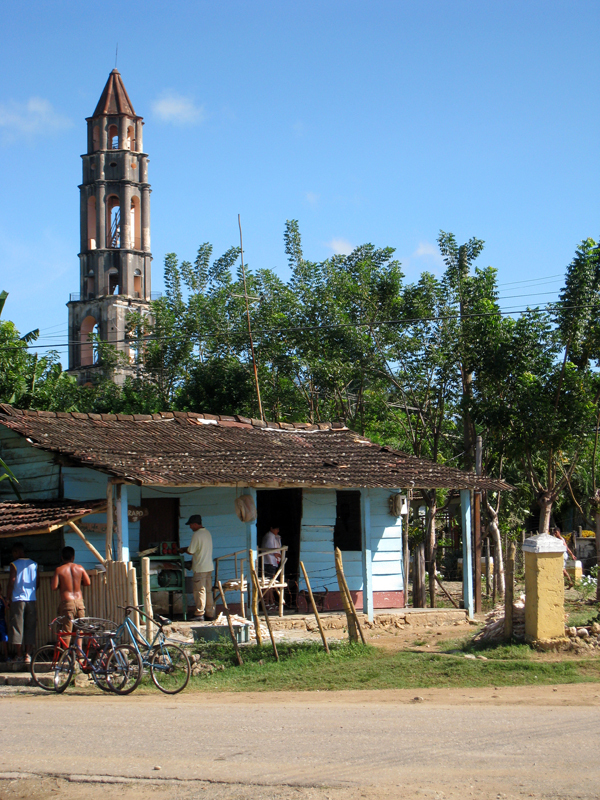 At Iznaga plantation you can see the owner’s house, now a restaurant, some slave quarters and climb a 147ft tower for panoramic views across the valley. 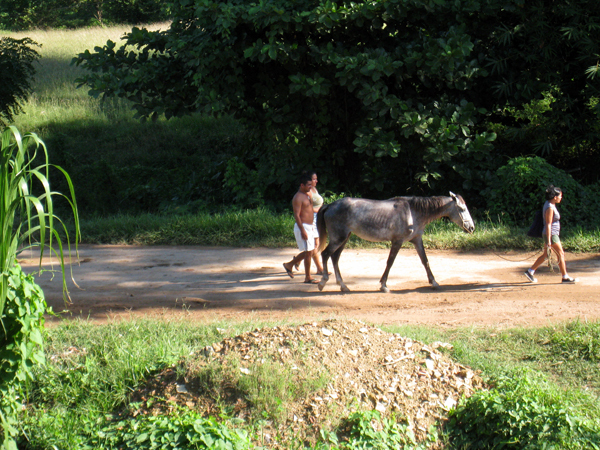 By the way, Trinidad and Valle de los Ingenios are both UNESCO World Heritage Sites. 3. 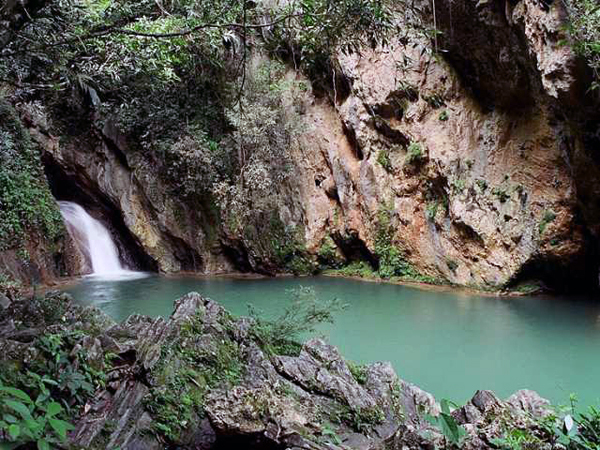 A thirty-minute drive from Trinidad is Topes Collantes, a nature reserve in the Escambray mountains. You have the choice of a number of easy to difficult hikes through rich ecosystems. The Caburni Falls hike is one of the hard ones, but well worth the effort if you’re up to it. The goal is a beautiful, meandering waterfall, which spills into a heavenly swimming hole. 4. Discoteca Ayala/La Cueva is a very atmospheric discotheque in a large, deep cave just up the hill behind the Plaza Mayor. 5. La Casa de la Musica has open-air music and dancing every night at the top of the broad staircase on the Plaza Mayor. It’s very freeform, just find a spot on the stairs to sit and let the music take you. Locals happily offer salsa lessons. 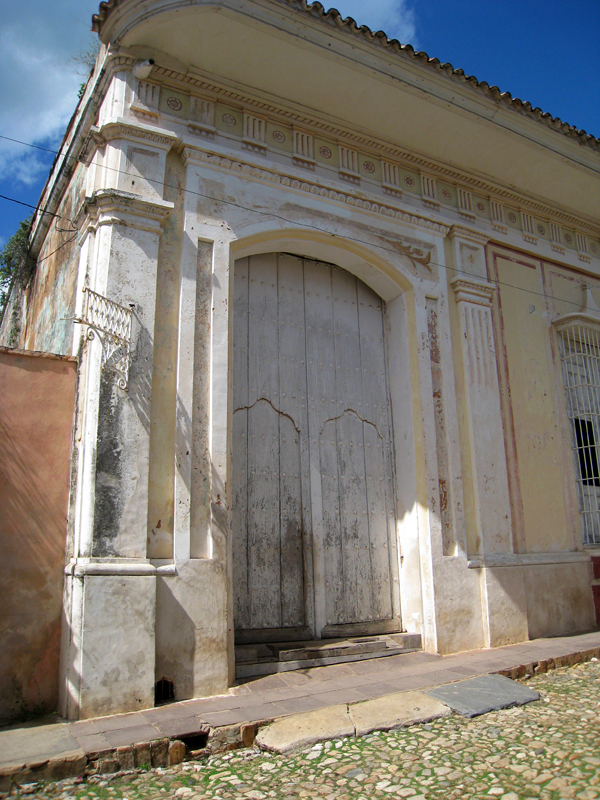 This entry was posted in Cuba and tagged Cuba, Cuba Trinidad, Escambray Mountains, Latin America, Plaza Mayor, Trinidad, Valle de los Ingenios, World Heritage Site by yalla2013. Bookmark the permalink.